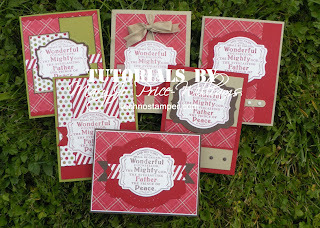 Techno Stamper: Prince of Peace Tutorial! It is ready! I am thrilled to say that my eyes are feeling much better today and I was able to finish off this tutorial for you. I think you are going to love this. As always your tutorial will have full color pictures and step by step directions. Along with all cut measurements and supplies sheet. Still only $2.50! Glad to hear your eyes are better.